Most people are aware that they need to avoid the usual starch or gluten rich foods, like bread, burgers or noodles. What most people fail to see is that some foods that are supposedly healthy end up doing more harm than good. If you do want to have a healthy diet, you have to forgo the following convenient foods that appear healthy. The box of muesli that you bought thinking that it is healthy has around 500 calories per serving! additional sugar is what makes most commercially available muesli palatable. You might as well eat a plain doughnut if you are going to consume the amount of calories that each serving of muesli offers. Many people mistakenly feel that energy bars fall under health food. In reality, energy bars are loaded with processed soy along with high quantities of sugar and salt. While being processed the soy loses most of its nutritional values and ends up producing a chemical called hexane. Hexane is highly controversial since in certain doses it is a neurotoxin. The selling point of light yoghurt is that it cuts down on the calorie content of the yoghurt. What most people fail to see is that when the calories are stripped from the yoghurt it does not remain flavourful. To make it palatable, artificial flavours are added. These additional chemicals negate the point of opting for light yoghurt in the first place. Unless you are making your own salad you cannot be certain of how healthy it is. When you buy a pre-packed salad or order salads at restaurants you are not exactly ordering healthy. To enhance the taste of the salads a lot of unhealthy additions, especially in the form of dressings, are made which exterminate the whole point of having a salad in the first place. You might be putting in nothing but the right fruits and vegetables into your homemade smoothie. Do not expect the store bought ones to be the same. To enhance the flavours, a lot of additional elements go into the product. Some smoothies that you buy can even have up to 1000 calories which you unknowingly intake. If you do want to have a healthy diet and include these foods then it is best to prepare them at home. Keep track of what you are eating without blindly trusting the labels on the boxes. 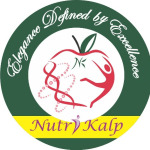 Nutri Kalp Clinic is an experienced Dietitian/Nutritionist in Rohini, Delhi. She has over 24 years of experience as a Dietitian/Nutritionist. She is a Master Of Science ( Home Science) , B.Sc. She is currently practising at Nutri Kalp - Rohini in Rohini, Delhi. She has received 25 excellent feedbacks. Book an appointment online with Nutri Kalp Clinic on Lybrate.com. Lybrate.com has a number of highly qualified Dietitian/Nutritionists in India. You will find Dietitian/Nutritionists with more than 34 years of experience on Lybrate.com. You can find Dietitian/Nutritionists online in Delhi and from across India. View the profile of medical specialists and their reviews from other patients to make an informed decision. Packing a healthy lunch, whether for work or for school, is always a good option if you want to stay fit and healthy. Working for long hours can take a toll on your health. You should eat foods which are low in calories and fats; try and eat more veggies and fruits. Eating your lunch outside everyday can result in an upset stomach whereas home-made foods are both tasty and healthier. Here are some foods, which you should definitely consider for a healthy you. Sandwiches: Cheese and tomato sandwiches are a great source of protein; especially cottage cheese, as it is an awesome low fat source of protein. Tomato is good for your skin and also prevents cancer. You can also consider a healthier version by swapping mayonnaise with avocado as it is full of healthy mono saturated fats. Salads: Salad, especially green salad, is one of the healthiest foods you can pack for lunch. It is simple to make and is a great appetizer as well. You can also add flavour to your salads by adding lots of fruits and vegetables that you like to eat. Eggplant Pizza: Instead of having the greasy one, you can make your own vegetarian pizza including your favourite vegetables. You can also opt for whole wheat pita pocket rather than the heavy pizza dough. And diced eggplant acts as a rich source of fibre and potassium. Chicken Wraps: These are one of the best, if you are in a rush and want to eat something spicy and healthy. Chicken is also a rich source of protein; you can add some ketchup to lend some extra flavour to your wraps. You can also include frozen corns, lettuce leaves and peas if you want. Fruits: If you want to maintain a healthy diet, you should surely include fruits in your lunch. It decreases the appetite for the actual meal. The fructose present in the fruits gives an energy boost and the fibre creates a feeling of fullness. Since most fruits are high on dietary fibres and low on calories, they help to keep your weight in control. To increase food production to match the growing population, chemicals are used to accelerate the amount of produce obtained from the land. However, the chemicals soon show their harmful effects. Though used in very minor quantities, over a period of time, their cumulative effect has detrimental effects on the consumers. Especially in homes with children, the aged, and the health conscious people, the concern about the harmful effects of conventional foods has grown quite a bit over time. That is where the concept of organic foods gained momentum. Organic foods are produced by using approved techniques, promoting recycling of resources, which are not harmful to the environment and preserve biodiversity. These are foods which are grown without the use of chemicals, be it synthetic fertilizers, pesticides, hormones, or prophylactic antibiotics. There are permissible levels of chemicals defined by food agencies whose limits when exceeded can cause harmful effects with prolonged use such as birth defects, respiratory problems, reproductive issue, etc. So the question you need to ask is - if pesticides are used to kill insects, can the same do any good to the human body? Also, you must consider the quantity and if it is within the permitted limits. Also, it is advised not to overdo on the 'organic' part. A lot of times, there are organic junk foods available also. And then there are the organic foods which are produced in one part of the world, and are shipped over long distances. Do they really retain their nutrients and benefits over this duration? That needs to be answered. 1. They are good sources of vitamin C - Humans are unable to produce vitamin C endogenously, which is essential for our body and so it needs to be included in your diet. Vitamin C reduces inflammation related to arthritis, muscle injuries and also helps in reducing the risk of heart diseases by blocking the oxidation of cholesterol. Oranges are very rich in vitamin C along with other nutrients like vitamin B9, vitamin A, calcium, and potassium. 2. They are an excellent source of fiber - Fiber-rich fruits like oranges have been proven to moderate the levels of blood sugar after a meal because of their natural sugar- fructose content. For this reason, diabetic patients can also have oranges without worry. Moreover, the roughage present in the fruit reduces chances of constipation and diarrhea. 3. Help prevent cancer - The fiber content in oranges can also play a significant role in keeping cancer-causing chemical components away from the colon. Moreover, vitamin C helps build the immune system so as to resist cancer cells. The antioxidants may also help with breast cancer, skin cancer, stomach cancer and lung cancer. 4. Improves the quality of sperm - A vitamin called folic acid, which is present abundantly in oranges, helps to improve the quality of human sperm and the locomotive abilities. Folic acid also protects the sperm from most kinds of genetic damage. 5. Can prevent loss of hair - Production of collagen, which is one of the most important proteins in our body, is done with the help of vitamins, especially vitamin C. Collagen keeps the tissues in the hair together. So, oranges and other foods rich in vitamin C can help keep a healthy growth of hair even in your old age. 6. Checks the formation of kidney stones - Juice of citrus fruits like orange can increase the pH value of urine and can lead to increased excretion of citric compounds from the body. This reduces the possibility of the formation of calcium oxalate stones in the kidney considerably. 7. Promotes brain development - Vitamin B9 and folic acid keep the brain healthy. The polyphenols in orange help in accelerating the learning and memory functions of the brain and facilitate neurological development in the fetus. Related Tip: Almond vs. Walnuts - Which nut is best for you?? Stress can destroy much more than just our physical health. Too often, it eats away at our hope, belief, and faith. Sir I'm 48 yes. Old man, doing daily workout at gym. Recently I bought double mass gainer supplement. Now I like to know that is it safe to take this supplement? For your information it's been 2 yes. That me gallbladder is taken out due to stone by laparoscopic operation. I heard that supplements destroy kidney. By which chemical or vitamin contain in supplement can damage kidney. Hello we would not recommend you to take supplements because yes in the long run it can harm your health. Try take up a good healthy balanced diet instead of any supplements. How can I make my body physically fit and strong? I am now very weak and unfeet physically. Hello to be fit & healthy, start wating a balanced diet that includes all the vegetables & fruits, cereals, milk & milk products eat frequent meals drink plenty of water to be wel hydrated eat lots of fruits & vegetables start some physical activity like walking, jogging, dancing, yoga etc. I should gain weight but I'm not going to gym only home workouts like push ups, pull ups and sit-ups, what shall I do. Hello, to gain weight through diets, start taking more of milk & milk products, do not skip meals, take add soya flour, chana flour, in your wheat flour. Take munakka, makhana, khajoor, anjeer, chuara, nuts with milk.